DSC_0152_filtered_smaller, originally uploaded by fmirela. The insert portion with the lace embroidery is very very low, the straps are too far away to the sides on the shoulders, the collar is only in one layer and finished with a coverstitch or double needle…lots of things I did not like about the pattern and the instructions in the mag, and keep in mind I am a convinced Burda fan! So after lifting the insert, taking in about 2cm! 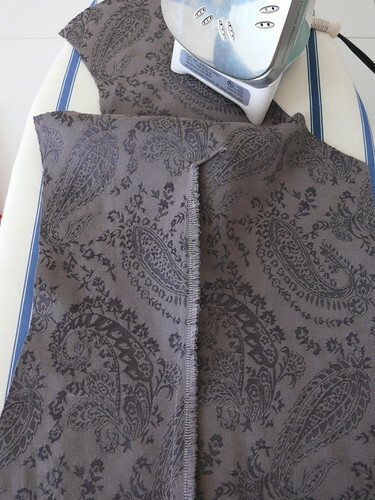 over from the sleeves and over the shoulders, folding in half the collar for a clean finish, I still wished I had made the lower belt about 3 times wider…. 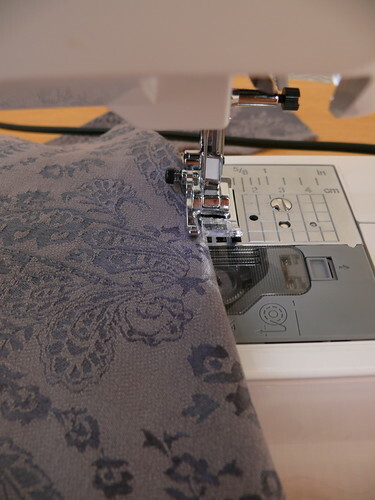 The embroidered organza was really easy to add, since it already had a golden thread inside, I used a metallic thread in the machine with a special needle for metallic threads, and simply sewed it onto my fabric by machine, along the existing embroidery. 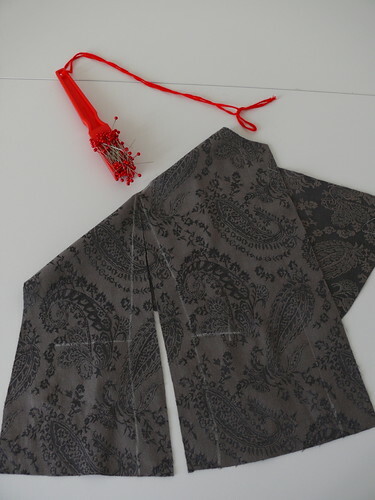 I am using the same embroidery to add to a dark brown jeans jacket I’m working on from a Boutique pattern. Big headache with this project, but I do like the end result, it was worth it, I would not do it again…:) I think…maybe with a different fabric as an insert and knowing all the changes I have done…maybe I’ll reconsider one day. Hope I get that jacket done tonight, I’d like to wear it in Romania, although it might end up too elegant for the day. 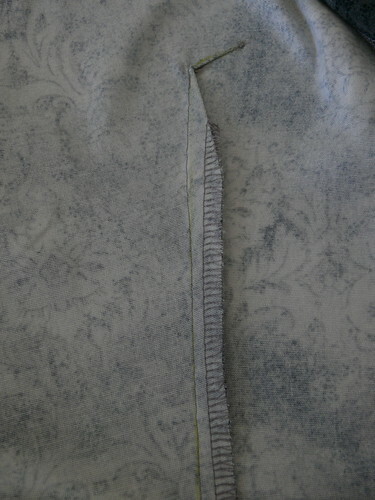 Eva Jacket with lining & Burda Top, originally uploaded by fmirela. The Eva Jacket No. 2 is done! 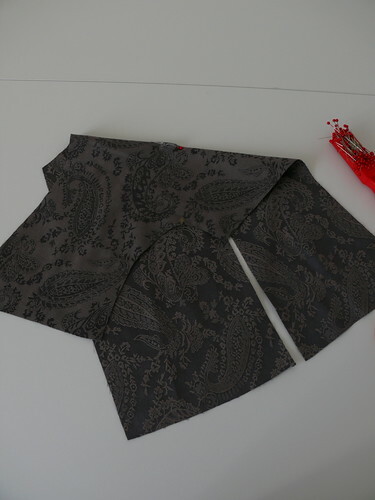 I have added shoulder pads to both and lining, with piping around the front and back. This makes a huge difference in the way it looks, especially if I take the jacket off. I now can be proud to say: “I’ve made this!” instead of saying…you know “I did not want to add the lining”, all threads hang out on purpose… and then find a silly excuse.. 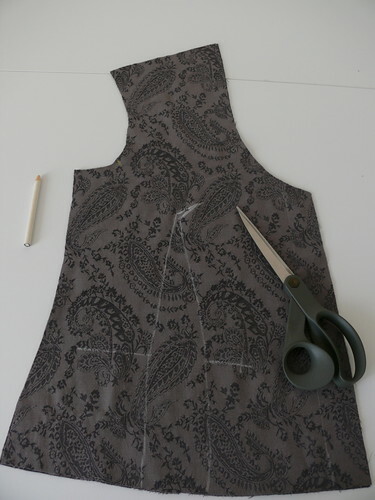 There really should be no excuse not adding lining to jackets, unless you are using the bias bindings or French seams… it’s really easy to add it and doesn’t take as long as you think. Here’s a great video from BurdaStyle, it might be all you need to know to add it. The skirt is from Burda WoF No. 05/2006 and I simply love the pattern! Coming up: 2 more long sleeve blouses and a cami. I can’t believe next Sunday I’m in my home town: Cluj Napoca and it’s winter there! I’ll be teaching this course in Bucharest, planning on wearing the suit, if it is not going to be under -10 degrees C.
Will I look like a teacher in this? Bike Action, originally uploaded by mariuspopovici. I hope you end up breaking the neck of whoever stole you this week! Seriously! Crochet Top, originally uploaded by fmirela. YARN: cotton (probably size 10 or even thinner but a little stiffer then usual). No idea how many yards, let me know if you care, I can weigh this. Pattern: Hungarian pattern from some nameless old magazine. I liked working on this pattern. It was very easy to follow and count in my mind, had very little unraveling to do. It worked up pretty fast for such a thin yarn and hook. My favorite thing about the top is that I can wear it over a camisole or a long sleeve fitted knit top, with different colors under. Thank you mom for starting this! Thank you Marius for seeing me the way you do in your amazing pictures! P1100551, originally uploaded by fmirela. 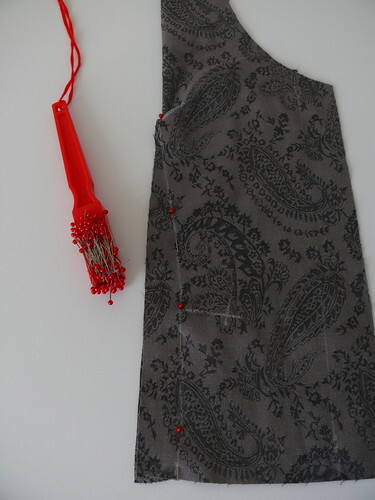 BurdaStyle’s Eva jacket has this interesting bust dart that is really simple to do in two steps. 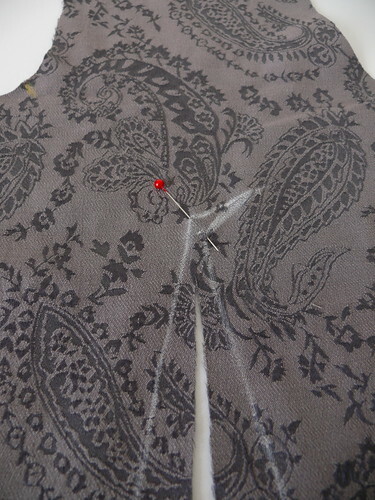 A little tip before you begin: you can iron on a small square of fusible interfacing on the intersection of the darts. 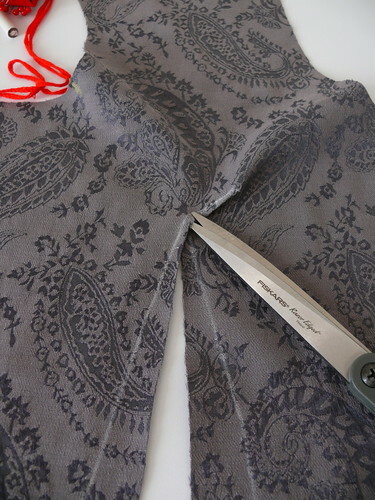 This way you do not have to worry about the fabric threads jumping out of the seam when you notch the allowances of the smaller dart. At the front pieces, the darts in the center between the marked lines have to be cut in up to 1 inch (2 cm) before the pointy end. Notice that I did cut too deep and this gave me a little headache. Do not cut all the way! stitch from the corner to the pointy end. Notch the allowances at the corner. just that I cut too deep the first time into the long dart, I repeat: cut only up to 1 inch (2 cm) before the pointy end. 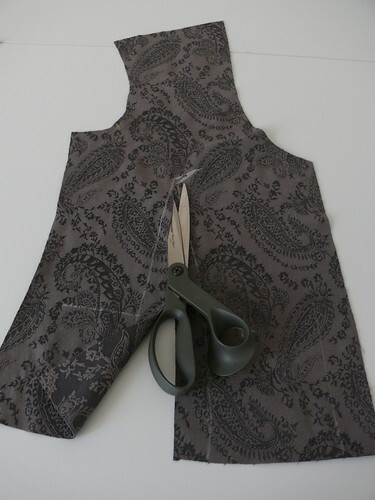 Pin the allowances from the edge downwards and stitch. Press the allowances of the long seams towards to center; press the allowances of the short seams downward. Stitch the dart allowances using a zigzag stitch, 4 mm wide. I’m sewing another Eva again like I promised. It is almost ready so a new post coming soon! It has a cute matching skirt, you’ll see!